In spite of ongoing tensions in Ukraine, which have seriously soured relations between Russia and the U.S. & Europe, Moscow has not altogether forgotten the Western Hemisphere. A case in point is the recent visit by Russian Minister of Foreign Affairs Sergey Lavrov to four Latin American nations in April (Chile, Cuba, Nicaragua and Peru). While Lavrov’s trip did not end in any particularly major deals between Moscow and his Latin American hosts, the visit came months after declarations by Russian Defense Minister Sergei Shoigu that the Russian armed forces require some form of overseas military facilities. Regarding Latin America, the countries mentioned by Minister Shoigu in late February which could hypothetically host a Russian military facility included Cuba, Nicaragua and Venezuela. Shoigu’s statement sparked a flurry of debate in the U.S. and Latin America regarding whether Russia’s military ambitions and expansion of its sphere of influence in recent years could be considered as the resumption of the Cold War. The declarations of the Russian defense minister, as well as the status of the current U.S. military presence in the Americas, can best be discussed in an accurate context of Western Hemispheric geopolitical and geosecurity realities. This could provide some insightful perspectives and likely scenarios of how the military component of global powers that have a presence in Latin America and the Caribbean may evolve in the near future. – Joint Task Force Bravo – Soto Cano Air Base, Honduras. Currently, American military personnel carry out medical operations to Hondurans as well as assisting that country when natural disasters occur. For some time, it has been rumored that the Honduran government would like to take over the facility in order to convert the landing strip into a commercial airport, and the U.S. personnel would likely open a new base along the Caribbean coast of the country (COHA discussed this possibility in a November 2006 report). Nevertheless, these speculations have yet to become a reality. Logo of Joint Task Force Bravo. US Southern Command, This image was created by the U.S. government and is public domain. – Comalapa – El Salvador. The naval base was opened in 2000 after the U.S. military left Panama in 1999 and the Pentagon needed a new forward operating location for maritime patrol, reducing transit times and increasing on-station effectiveness to support multi-national counter illicit missions. According to its website, Cooperative Security Location (CSL) Comalapa has a staff of 25 permanently assigned military personnel and 40 civilian contractors. The staff stationed in Comalapa have the mission of providing 24/7 critical logistics, security and infrastructure support to all forward deployed U.S. aviation units participating in counter-illicit trafficking operations. A recent example of humanitarian operations carried out by the military personnel at Comalapa occurred in April, when U.S. sailors stationed in that facility raised more than $1,100 for an Easter meal and Easter egg hunt for a local children’s home. – Aruba and Curacao – The two Caribbean islands are overseas territories of the Kingdom of The Netherlands. The military bases are tasked with combating narco-ships and aircraft and which originate in South America and subsequently pass through the Caribbean to Mexico and the U.S. On June 2013, Lieutenant Colonel Stephen Reny from the U.S. Air Force became the new commander of the U.S. bases in Curacao and Aruba. The Venezuelan government has argued that these bases are utilized by Washington to spy on Caracas (in January 2010 there was an incident in which a P-3 U.S. surveillance aircraft left Curacao and trespassed Venezuelan airspace). – Guantanamo Bay, Cuba – The U.S. naval facility in Cuba was constructed after a 1903 deal between Havana and Washington. (The island was a U.S. protectorate from 1898 until 1902, after Washington gained control of Cuba via the 1898 Spanish-American War). Guantanamo is not likely to revert to Cuban jurisdiction anytime soon, if ever, but President Barack Obama has often reiterated his intention to close the detention facility there, which was established in 2002 to house individuals accused of terrorism. – Andros Island, Bahamas – Established in 1959, the full name of the base is: Atlantic Undersea Test and Evaluation Center (AUTEC). Use of this facility has been often clouded in secrecy and even conspiracy theories, as very little is known about it; it is sometimes referred to as the “Area 51” base of the U.S. military in the Caribbean. AUTEC is under the control of the U.S. Navy and, from what is known, it is tasked with developing new naval military technology, such as electronic warfare threat simulators. The U.S. suffered the major loss of its base in Manta, Ecuador in 2009. Leftist President Rafael Correa, who had a close friendship with the late President Hugo Chavez of Venezuela, decided to cancel an agreement via the U.S.-leased military facility in the port of Manta, in the Manabi province. 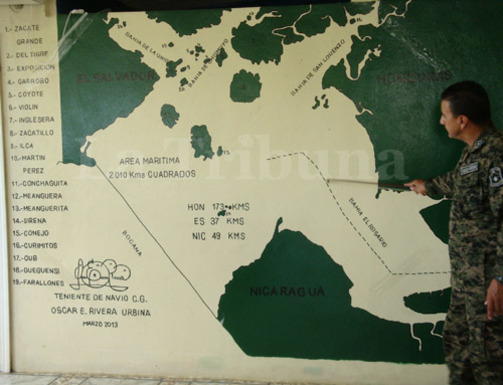 The base was originally designated to be used for drug trafficking operations, but Correa argued that it was utilized by U.S. intelligence agencies to conduct espionage operations on the region. After the base was shuttered in Ecuador, the U.S. looked towards neighboring Colombia to open new military facilities. This move made geopolitical sense as Washington and Bogota have had a long history of close military relations, dating back to the 1970s when the U.S. began assisting Colombia to crack down on drug trafficking. Most memorably, U.S. security personnel may have been involved in the 1993 death of Pablo Escobar, the leader of the Medellin Cartel. (Mark Bowden’s book Killing Pablo provides an excellent analysis on the U.S.’s role in Colombia from the late 1970s to early 1990s). Additionally, Washington Post reporter Dana Priest revealed this past December that the CIA has been providing the Colombian armed forces for years with information regarding the location of high-profile guerrilla leaders. It is a near certainty that a 2008 Colombian military operation in Ecuadorian territory, which culminated with the elimination of FARC leader Raul Reyes, took place thanks to intelligence aid provided by U.S. intelligence agencies. In 2008, Washington and Colombia signed a military agreement via which the U.S. would create eight military bases in that South American nation. 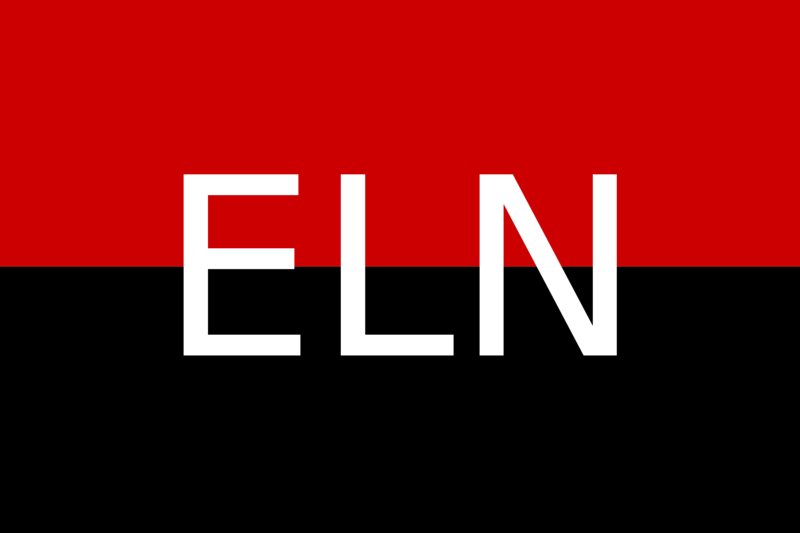 This agreement was critiqued by neighboring states, such as Venezuela and Ecuador, which heatedly argued that these facilities were a flagrant example of neo-imperialism on Washington’s behalf to maintain a military presence in the region and to protect its national interests against anti-Washington governments (i.e. Caracas, La Paz and Quito). On the other hand, then-Colombian President Alvaro Uribe was very much in favor of these bases as the additional support would have aided Colombia’s military strategy against drug cartels and the narco-insurgent movements, the FARC and ELN. Ultimately, these ambitious plans went nowhere as the Colombian Constitutional Court ruled that it was not possible for non-Colombian military personnel to be permanently stationed in the country. For the time being, there have not been any additional discussions about possibly opening new U.S. bases in Latin America or the Caribbean. Moreover, given the tighter new defense budget and the priority that Washington is giving to regions like the Middle East (due to Syria and Iran), Asia (due to China and North Korea) as well as Europe (due to the ongoing crisis in Ukraine), regions like Latin America and the Caribbean are not a priority for Washington nowadays. Over the next ten years, the Services are reducing deployments of personnel, ships, and aircraft in the context of tightening fiscal constraints … As the lowest priority Geographic Combatant Command, [SOUTHCOM] will likely receive little, if any, ‘trickle down’ of restored funding. In other words, SOUTHCOM’s priority is quite low in Washington’s defense priorities, which will translate in coming years into limited resources, which will hinder the U.S. military’s operations in the Western Hemisphere. Finally, it is necessary to add that, unsurprisingly, there has been a good deal of debate among security and defense specialists regarding the ebbing status of the U.S. defense budget and the military’s priorities for the immediate future. For example, on March 7, the Stimson Center and American University’s School of International Service, carried out a conference in Stimson’s headquarters in Washington DC entitled: “Issues and Insights on International Security: The 2015 Defense Budget.” The panelists included Gordon Abrams, professor at American University’s School of International Service, and Russell Rumbaugh, director of the Stimson’s Budgeting for Foreign Affairs and Defense Program. The author of this COHA report posed a question to the panel during the Question & Answers section of the conference: what will be the future of U.S. military facilities in Latin America and the Caribbean, as these are regions that are not regarded as serious strategic priorities for Washington? The experts responded that the bases will likely remain, but the military personnel will probably be rotated more often or even somewhat reduced as some are deployed elsewhere. One of the experts added that overseas military bases are the easiest to shut down as Congress does not have to deal with the self-interests of U.S. constituents. Such an answer leaves the question open if we may see some of the smaller bases shut down, perhaps on one of the Caribbean islands, as has happened with the U.S. radar in Antigua. There have been persistent rumors in recent months about the potential for Russian military facilities to open up in Moscow-friendly nations. There certainly have been developments that contribute to this theory when it comes to Latin America – apart from Minister Shoigu’s February declarations. 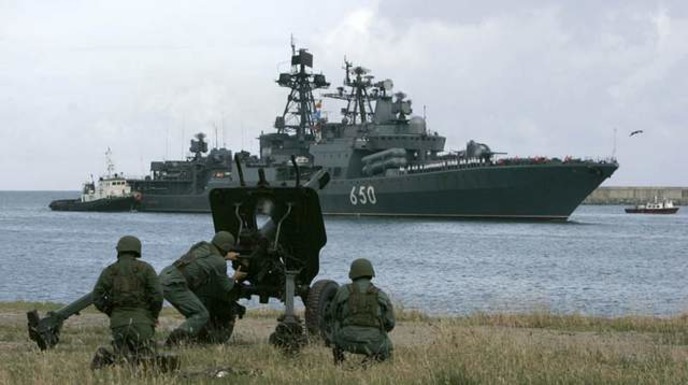 Most notably, in 2008 Russian warships undertook a voyage to Latin America, first carrying out naval exercises with the Venezuelan navy in the Caribbean and then voyaging to Nicaragua and from there to the Panama Canal. This marked the first time since the end of the Cold War that Russian warships have sailed throughout the Western Hemispheric waters. This was followed by a Russian naval vessel docking in Havana’s port in August 2013. Moreover, in October 2013, two Russian supersonic bombers (model Tu-160) landed in Caracas. Additionally, it is important to note that Russia has provided police cooperation to nations like Nicaragua to combat drug trafficking. In a speech to the Nicaraguan Army this past April 4, President Daniel Ortega declared that his nation has the right to whichever military hardware it chooses. The declaration was aimed at Russia, as there have been several secretive agreements in recent months between Managua and Moscow regarding the Ortega’s desire to purchase Russian military equipment, though no confirmed deals have been made public. The aforementioned examples demonstrate that there are plenty of initiatives to increase military ties between Russia and Latin America and Caribbean states, not solely reflected in weapon sales. As for the Russian military itself, Moscow has been pushing to increase the numbers and capabilities of its armed forces and also aims to increase its influence abroad. In recent years, Russia went to war with Georgia in 2008 and, most recently, accomplish the de facto annexation of the Crimea region from Ukraine. Additionally, Russian President Vladimir Putin is seeking to increase his country’s presence in the Arctic, both via legal means, by claiming a bigger portion of the Arctic continental shelf, as well as by increasing his armed forces’ Northern Fleet and troops trained for the Arctic climate. Hence, it came as little surprise that Defense Minister Shoigu declared that Russia was seeking to establish military bases throughout the world; besides Latin America, he also mentioned the Seychelles and Vietnam. Nevertheless, this is unlikely to happen, at least when it comes to Latin America. For example, the Nicaraguan government has stated that, while it seeks closer military cooperation with Moscow, a Russian military base in that Central American country is out of the question. As for Cuba, the Castro government has not given any indication so far that this could be a possibility since it is unlikely that Washington would tolerate this. Russia-Cuba relations throughout the past decade have been mixed. While Russia is interested in the possibilities of Cuban offshore oil, it is not willing to provide weapons and financial assistance to Havana as was the case during the Cold War. Furthermore, the Cuban government continues to work at trying to improve relations with Washington, and constructing a Russian military base in a traditionally U.S.-dominated area like the Caribbean would be a serious setback. Arguably, such a hypothetical scenario would be more detrimental to Washington-Havana relations than occasional incidents between the two governments (such as the Allan Gross affair; the Cuban ship going to North Korea with weapons, including two Soviet-era MiG-21 aircraft, air defence systems; as well as the recent Zunzuneo scandal). Finally, regarding Venezuela, President Nicolas Maduro is probably more focused on fixing the country’s internal situation than discussing relations with Russia. With that said, a Venezuelan delegation traveled to Russia in early April to discuss military cooperation between the two countries. In addition, arm sales continue between the two countries continues. In recent months Venezuela has received Russian surface-to-air missile systems and currently speculation exist that Caracas also plans to acquire Sukhoi warplanes. Ultimately, in the two months since Minister Shoigu’s declarations, no new developments have occurred regarding Russian military personnel being deployed to the Western Hemisphere. Even more, Russia’s ambassador to Nicaragua, Nicolai Vladimir, has denied that Moscow is negotiating with Managua over the opening of a Russian base in that Central American state. It is interesting that in the era of inter-continental ballistic missiles, unmanned aerial vehicles and aircraft capable of being refueled while in air, military bases continue to be an important cornerstone for any military strategy to be viable. When it comes to Latin America and the Caribbean, in 2014 Washington does not see these regions as priorities as compared to Asia or Europe. This new geopolitical order and the U.S.’s defense budget mean that we may see a reduction of military facilities in the Western Hemisphere outside of the U.S.’s borders. The shutdown of the radar base in Antigua, the same radar that now will be deployed to Australia (to keep an eye on China and the Asia-Pacific), is a prime example of these changing geopolitical shifts. It is doubtful that the U.S. bases in Honduras or El Salvador are likely to close anytime soon, and Guantanamo is not likely to return to Cuban hands in the near or medium term future as well. Hence, the shutdown of either the base in Aruba or Curacao is a realistic possibility. Moreover, as was discussed at the aforementioned March event at the Stimson Center, the U.S. military personnel at these bases may be rotated or reduced in the coming years to be redeployed elsewhere. 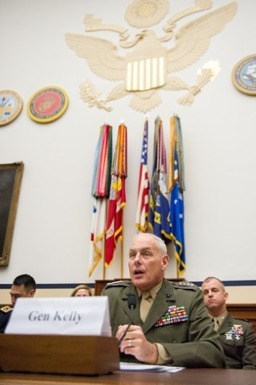 This could further complicate the mission of SOUTHCOM’s General John Kelly, as he tries to carry out his duties, such as strengthening Washington’s Latin American partners to combat drug trafficking and other transnational crimes. As for Russia, it seems unlikely that the Russian military will have either a temporary or a permanent base in Latin America. Even Moscow-friendly countries like Venezuela, which has accepted port of calls by Russian warships and the landing of Russian warplanes, do not seem particularly eager to accept a base containing foreign soldiers within their borders (accusations of Cuban troops helping the Maduro government notwithstanding). For the sake of argument, a hypothetical discussion is necessary regarding what could happen if Russia did indeed succeed in establishing a military base in the Western Hemisphere. This could significantly affect the region’s current geosecurity and geopolitical configurations. For example, if a Russian base is eventually established in Cuba, the world would in effect return to a Cold War-era scenario, with Washington declaring that it viewed Cuba as a clear and present danger. A Russian base in Nicaragua would have as neighbor the U.S.’s base in Honduras. Finally, a base in Venezuela would be next to Brazil, the regional powerhouse with its own geopolitical ambitions, and Colombia, which receives copious amounts of U.S. military aid. Moreover, it is unclear how either additional U.S. bases or new Russian facilities would exacerbate tensions not solely between Washington and Moscow, but also among various Latin American states, which have their own security interests and priorities. For example, Nicaragua, Honduras and El Salvador are involved in an ongoing dispute over the control of the Gulf of Fonseca. Finally, Colombia and Venezuela came close to an armed conflict in 2008 over the aforementioned incident concerning a FARC base in Ecuador. The addition of an outside global military power would certainly introduce additional tensions into the mix. For example, in 2012, Colombia signed a cooperation agreement with NATO (which has yet to be ratified by the Colombian congress). Countries such as Venezuela and Ecuador, as well as Brazil, declared their aversion to the agreement, arguing that it would render Colombia a “NATO beachhead” in Latin America and that the Atlantic Alliance would create a base in Colombia. (For the record, the Colombia-NATO agreement did not include the possibility of NATO military deployment to Colombia, but this did not deter suspicions over the agreement). The closure of a radar base in Antigua and Barbuda has largely gone unnoticed in Washington. Nevertheless, it could be a sign of things to come in the near future. 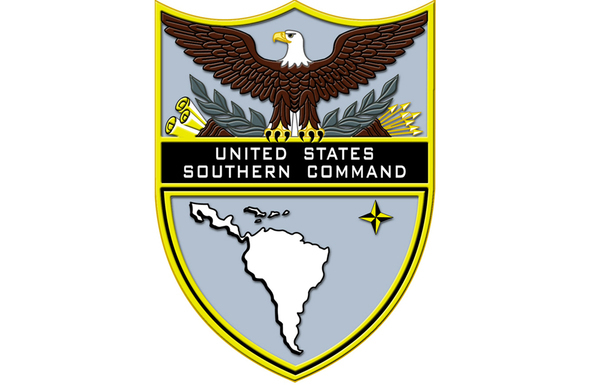 SOUTHCOM’s mission is not a major priority for the U.S. government and, given tensions in other areas, it may not be farfetched to predict a reduction of U.S. military personnel deployed to its bases in Honduras, El Salvador or even the closure of either the base in Aruba or Curacao. With that said, a full closure of these bases will most likely not happen either as it is important for the U.S. to have a minimal presence in the region in order to have the means to crack down on transnational crimes like drug trafficking, along with maintaining an ever-watchful eye on the region. As for Russia, the recent visits of Foreign Affairs Minister Lavrov, Defense Minister Shoigu and the latter’s declarations this past February demonstrate that Russia is aggressively pursuing a bigger presence in the Western Hemisphere. Certainly, arms sales and other types of military cooperation will continue, but a Russian military base remains unlikely. While military technology is constantly evolving, the need for military outposts remains important, both for military requirements as well as for geopolitical reasons.